When you list your home at market range, your chances of selling are greater because you’ll expose it to a much larger percentage of prospective buyers. 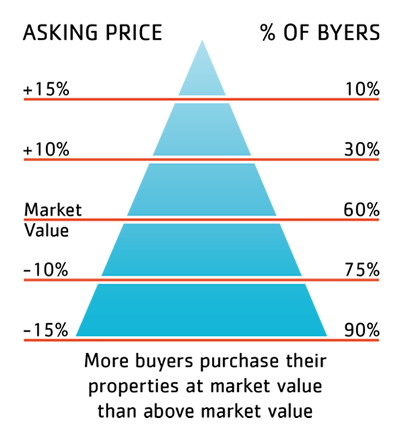 Plus, you’ll ensure a final sale price that reflects the market value of your home. Since your home captures the most attention when it’s first placed on the market, it’s essential to price it realistically from the start rather than reducing it later. Be sure to optimize your window of opportunity!